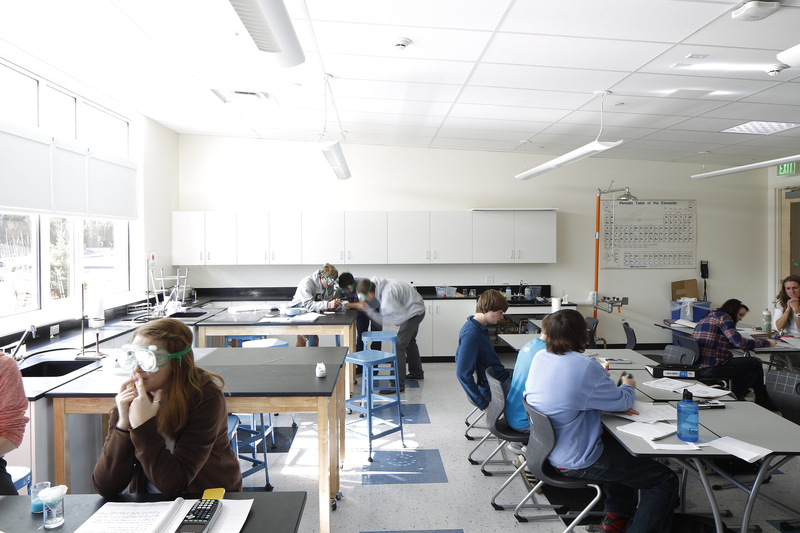 Informed by extensive collaboration with school educators and administrators, Colorado Academy’s new two-story, private school offers a new paradigm for 21st-century learning. 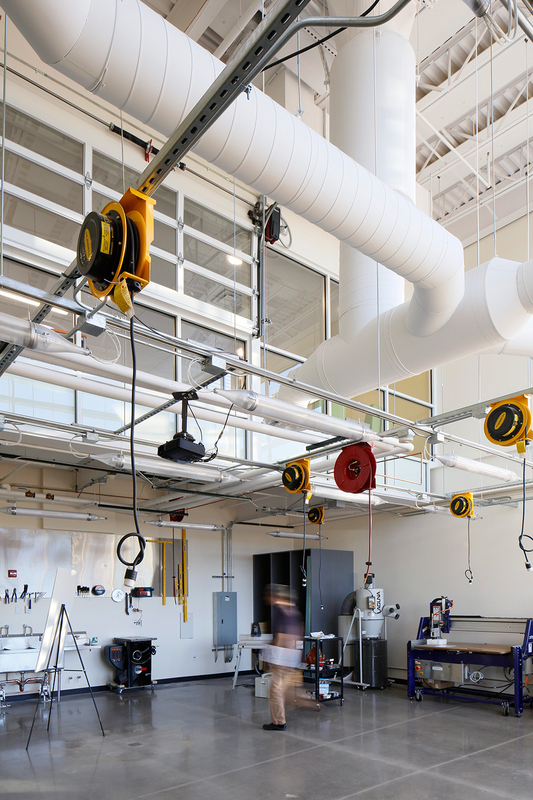 Focused on fostering students’ critical thinking and problem-solving skills to help them thrive in a shifting economy and job market, the Academy School’s design encourages learning everywhere and anywhere. New features include alternative classrooms, break-out study space, dynamic Maker Space and high bay flexible shop to further facilitate student creative studies and serve as an incubator for ideas and creative projects. 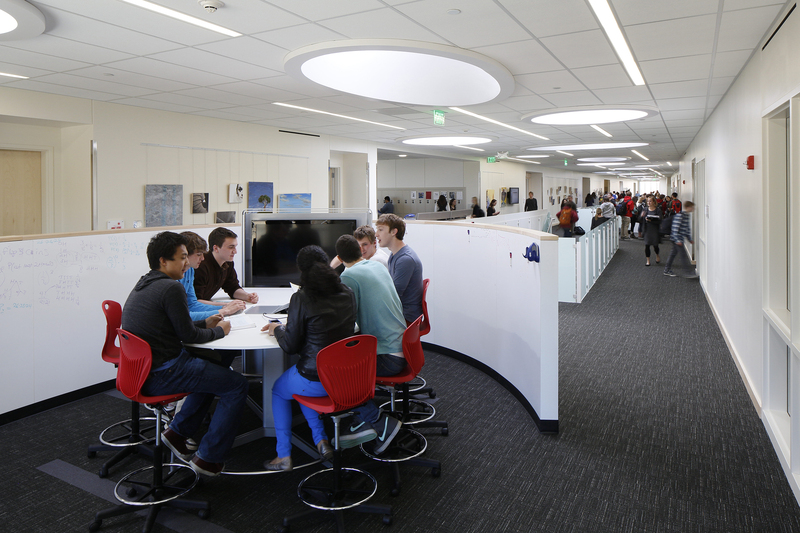 The renewed school converts a centrally daylight corridor into a social and gallery spine by locating student locker away from corridor walls, via low center islands. This strategy enables corridor walls to display student work. Moreover, the low bay locker islands are capped with work counters to encourage impromptu student work and collaboration. 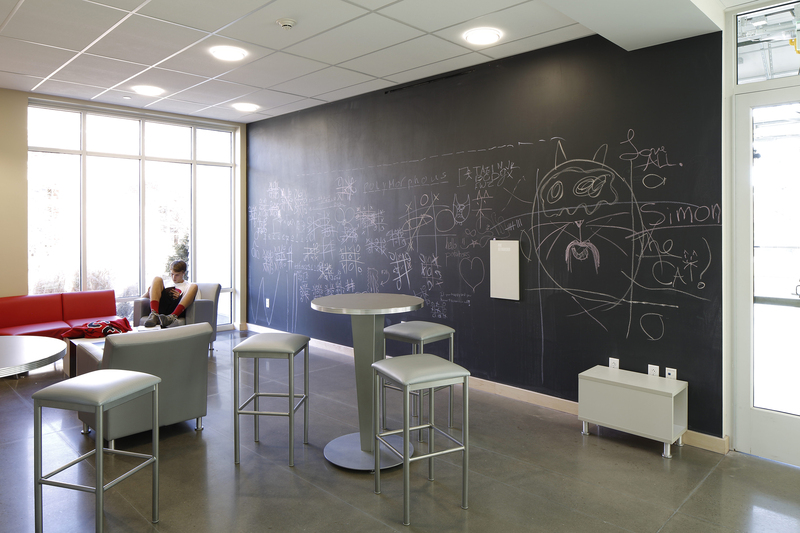 The design team and educators rethought each classroom, informal study spaces, faculty areas and the campus at large. 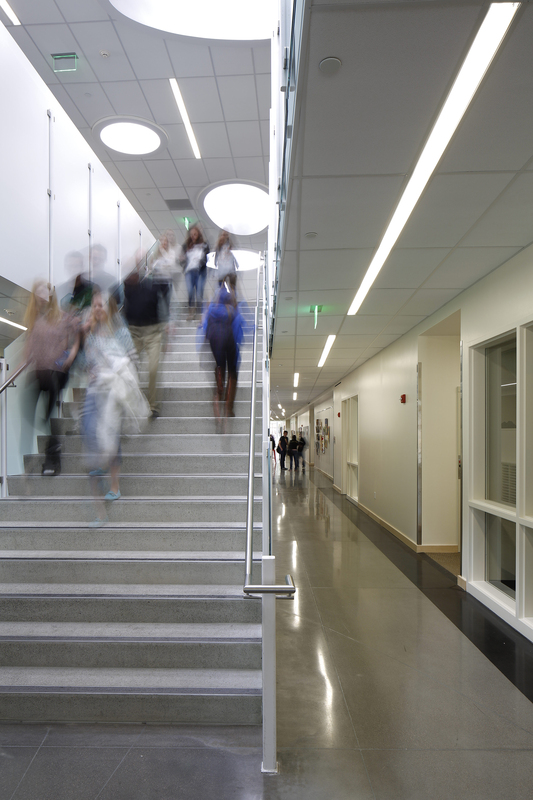 Intentional design strategies including daylight classrooms through skylight tubes and perimeter light shelves that eliminate the need for conventional lighting achieve client sustainability goals. 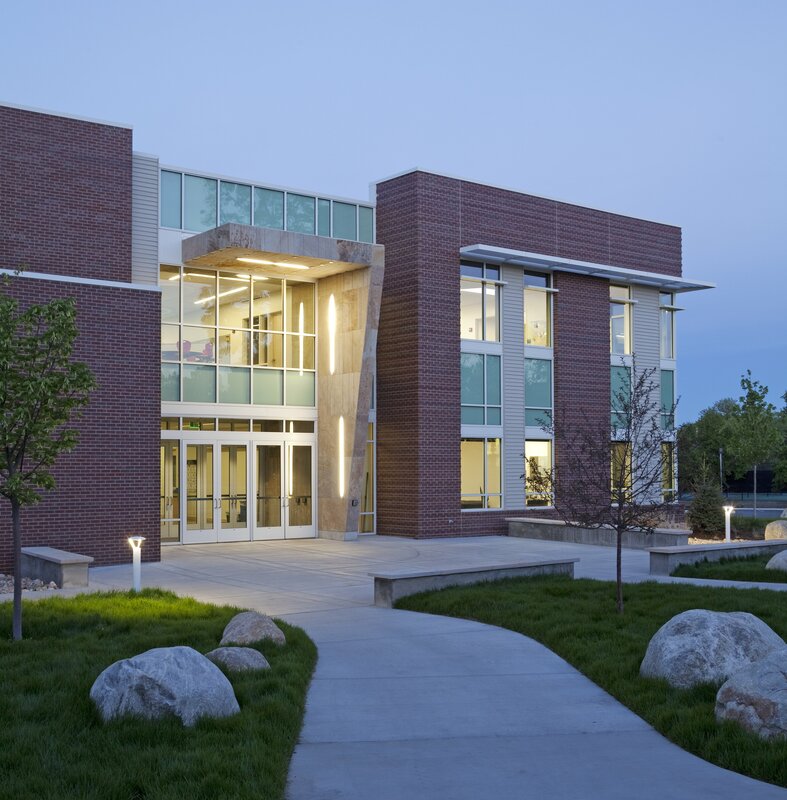 The building now acts as a catalyst for dynamic learning experiences that will drive student success.